In 1959 Charlie Barber, the head operator at Shenango Valley Water Co. decided to capitalize on the relationships that he had developed with his chemical suppliers and with other small treatment plant operators. His father Launce had just retired from Westinghouse and was interested in a retirement career. Thus, Barber’s Chemicals was conceived and took its first breath. 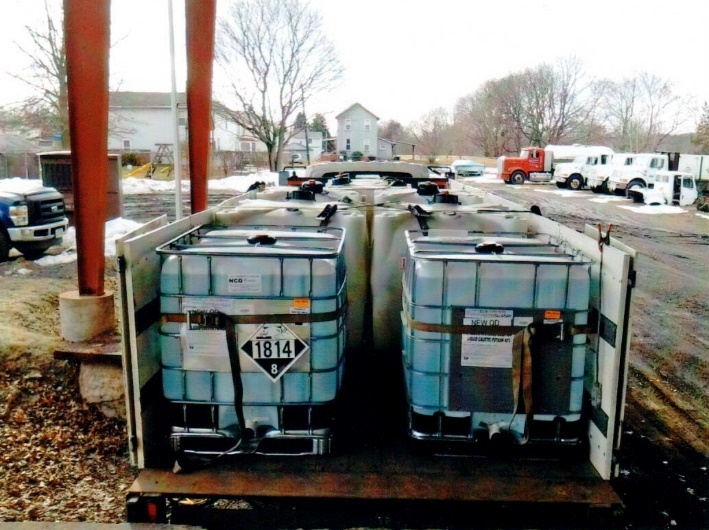 Chemicals were purchased and distributed. 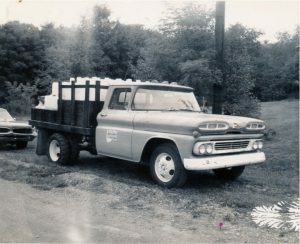 Launce used this 1960 Chevrolet delivery truck. 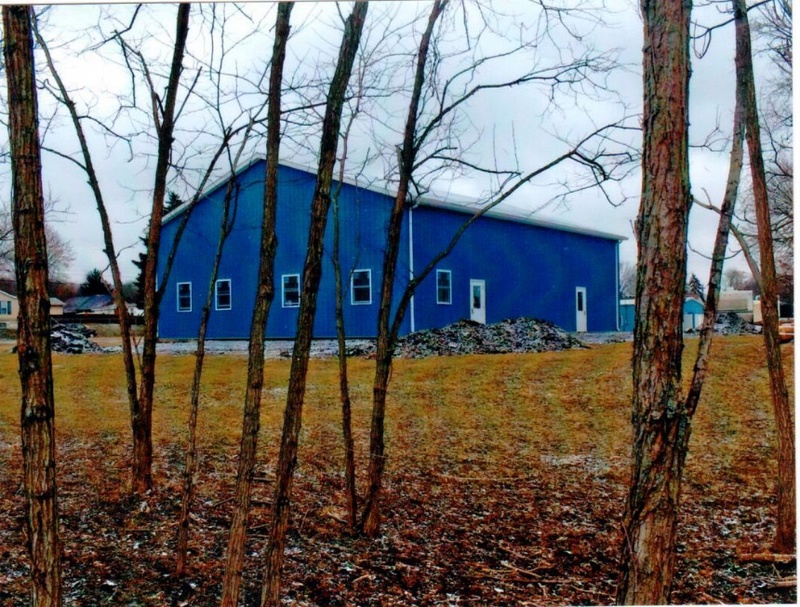 The original warehouse was the size of a residential garage. One of the suppliers Barber’s Chemicals used was Opalco Chemical Company (later P.B.& S.) out of Pittsburgh, Pa. The northern Sales Representative for Opalco was a gentleman by the name of Ed Earnhardt, Jr.
Ed’s father, Ed Sr. had been a truck driver, and his father-in-law Cyril D. Wilson, Ph.D., a patent-holding chemist. Ed Jr. and Cyril had worked to develop and sell products in the cleaning market while Ed was representing Opalco. Based upon influences from his parents and in-laws as well as his own personal business background, chemical distribution seemed like a natural fit. Unfortunately, due to the unexpected passing of Cyril, the production side of the operation became less of a reality, but a sense of entrepreneurship had been sparked. In 1968 after Charlie Barber decided it was time to sell his business, and Ed Earnhardt was ambitious to set off on his own, they came to terms for the sale of the company with the condition that the name could not be changed for 5 years after the purchase. 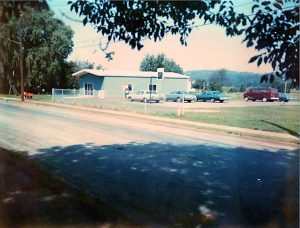 After initial years of struggle, growth was realized, and in 1976 Barber’s Chemicals was incorporated and moved to the facility at 950 W. Main Street in Sharpsville, Pa. This location had an office and a separate warehouse. Today, the business has been in the Earnhardt family since 1968 and is currently in its second generation of ownership. As we have grown, our processes and professionalism have also matured. In 2017 we completed the construction of our new administration and service building and the redesign of our showroom and offices. This was done in part so that we could host Environmental Service Laboratories (ESL) and their Northwest satellite in part of the original office which serves as a retail store. 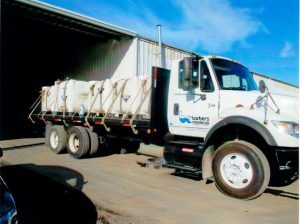 Over the years we have continued to experience steady growth as we have supplied products, technology, and service to our clientele in the potable water treatment, waste water treatment, commercial pool, and food industries. As our capabilities increase, we look forward to what we can accomplish for you!